Creative DIY bloggers, Malory and Savannah of Classy Clutter, recently partnered with us and the experts at HGTV to renovate and customize new closet systems for their respective master and kid's closets. You can read all about Savannah's master closet makeover, here, and check out how we transformed Malory's kid's closet, below! 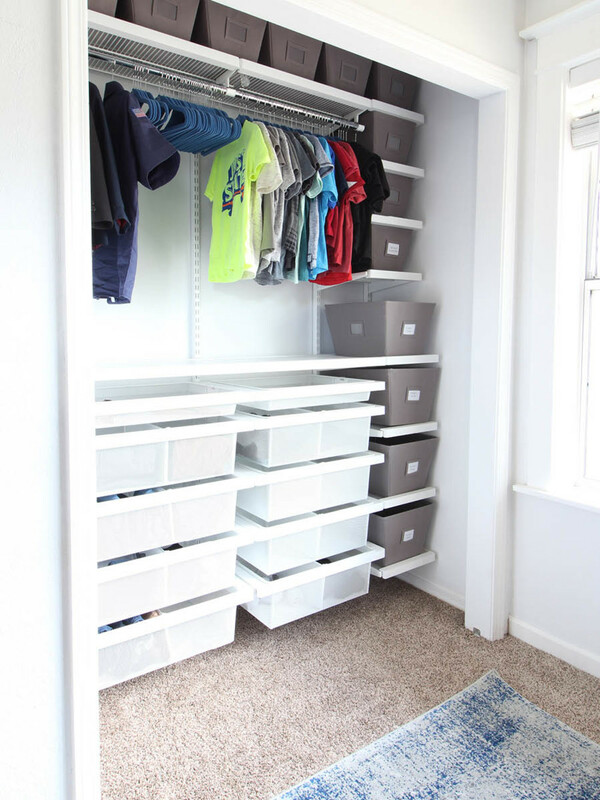 Before, Malory's kids' closet had become a bit crammed from being shared by her four boys. All the open vertical space in the closet was filled with a bulky chest of drawers that they each used to divide their clothing. We took that out of the equation and installed custom elfa décor shelving in its place. Now, 10 elfa Mesh Drawers offer enough space for each kid to organize their things and remember where to put them back - not cramming or cluttering involved. 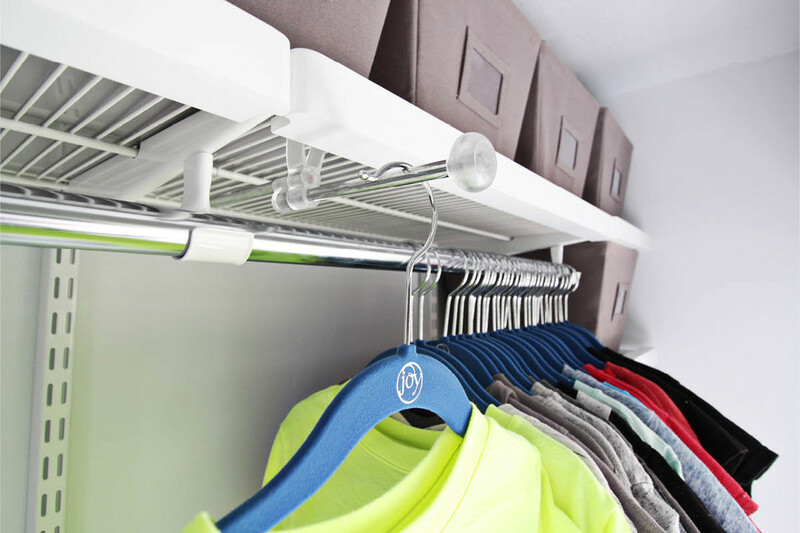 Kid's Huggable Hangers save tons of space within the closet and keep shirts right where they should be, while Open Canvas Storage Bins on each elfa décor shelf make it a breeze for the kids to keep their frequently used accessories within reach. 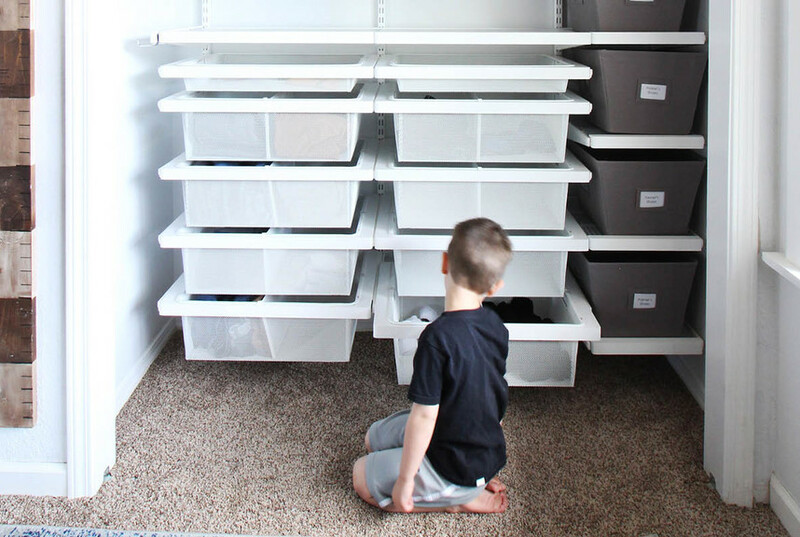 Bins stored higher up keep out of season clothing and toys where Mom can access them safely. An elfa Expandable Valet Rod helps to lay out outfits the night before so there's not searching and scuffling in the morning. Check out the entire post with all the before and after pictures and product details, here, and get started on your very own elfa solution, today!